When Mark Zuckerberg developed Facebook in 2004, he would not have thought his brand / App would be worth $350 Billion plus in just over 10 years. Let us take a closer look at the main features that Facebook offers to its users. Post text, post photos, In App messaging, add friends are some of its main features. 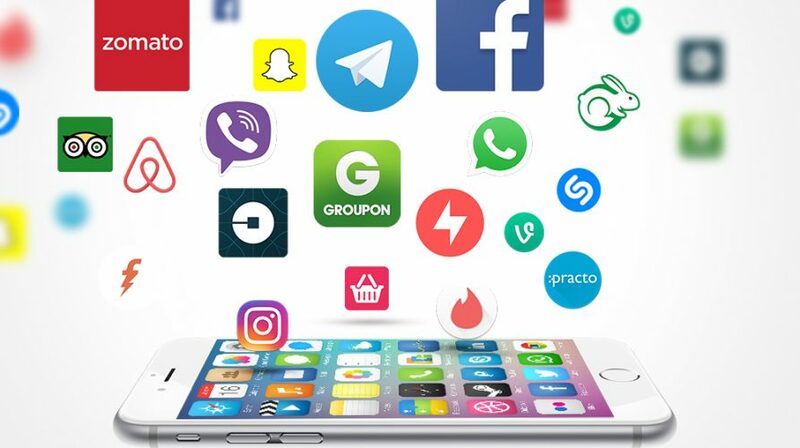 Social Media Apps could be expensive to develop since it needs to contain basic features which are mentioned above. An App similar to Facebook would cost approximately $350,000 plus to develop but as you aware, the Return on Investment (ROI) is extremely high. What is special about Uber? When Uber was first introduced, many thought that the Company will not survive since it was directly competing with an old industry – Taxis. However, Uber is currently worth approximately $70 Billion and this App was only introduced to the market in 2009. Uber uses ones of the latest technologies – ‘Real Time Updates’ to ensure that potential riders (users of the App) could login and locate the available vehicles within a specific geographic area. Then the riders could select the vehicle / driver they prefer and make the payment as well, thus eliminating the risk factor of exchanging cash after the transport service has been completed. An App similar to Uber would cost approximately $200,000 plus to develop. LinkedIn is a professional network platform where users could add people in the professional network and communicate. It is also similar to a social media platform but it focuses more on assisting users to build and connect with other people who are in a similar Industry. Even though LinkedIn initially started with just the website, with the increased use of its instant messaging feature, the App had to be developed. The cost to develop an App similar to LinkedIn would be approximately $140,000 plus. A few years ago people were worried about the rising cost of international calls until WhatsApp was introduced in the year 2009 where it allowed people to take calls using phone data or Wi-Fi which was more cost-effective than taking international calls using the network providers. Thus, WhatsApp has been a huge success from that time onwards. WhatsApp not only allows users to make calls but it allows users to message other contacts in their list. It will cost approximately $160,000 plus to build a similar platform but the end result has been amazing with the latest results showing that at least 1 Billion people use WhatsApp on a daily basis. This is another very popular App where the owner of the App and the Company is making huge profits due to its success. It is a platform where it allows the buyer and the seller to meet and do transactions. It allows anyone who wants to sell an item, do so using this platform. It is similar to the local App – Gumtree. It will cost approximately $120,000 to develop a similar App on both platforms (iPhone and Android Phone) and revenue could be generated through internal advertising (sponsors). Mentioned above are few Apps which have been hugely successful within a short span of time. Even though the initial investment of developing those Apps have been relatively high, the owners of the App have been able to generate a high return on their investment (ROI) very fast. Thus, if you have an unique idea to develop an App, do not be concerned much about the initial cost. Confidence is the key component in making your idea a reality and we at Elegant Media can support you in achieving your dreams by developing the next Facebook, Uber, LinkedIn, WhatsApp or eBay. Contact Elegant Media to obtain your free consultation. We are based in Australia and have offices in Melbourne, Brisbane and Canberra.